Hi, my name is Anne and I will talk about my 1st Big Game Fishing Experience. The weather in the West of Mauritius was perfect and the 2 skippers made me feel like royalty. The fishing boat “Moana 2” is beautiful and clean with the best equipment needed for fishing. The skipper Francisco prepared the lines for me and fishing started. Suddenly, I heard a “ZZiiiippppppppppp”, YES, THE FISH TOOK BAIT! With a quick pull on the line, the fight started! It took about 20 minutes to reel the WAHOO of 32lbs in. The fight was hard as I am just a short girl of 50 kilos. It was simply thrilling and the 2 skippers were great teachers. It was one of the best days of my life and an experience of a lifetime that every person should live! I am now addicted to BIG GAME FISHING! 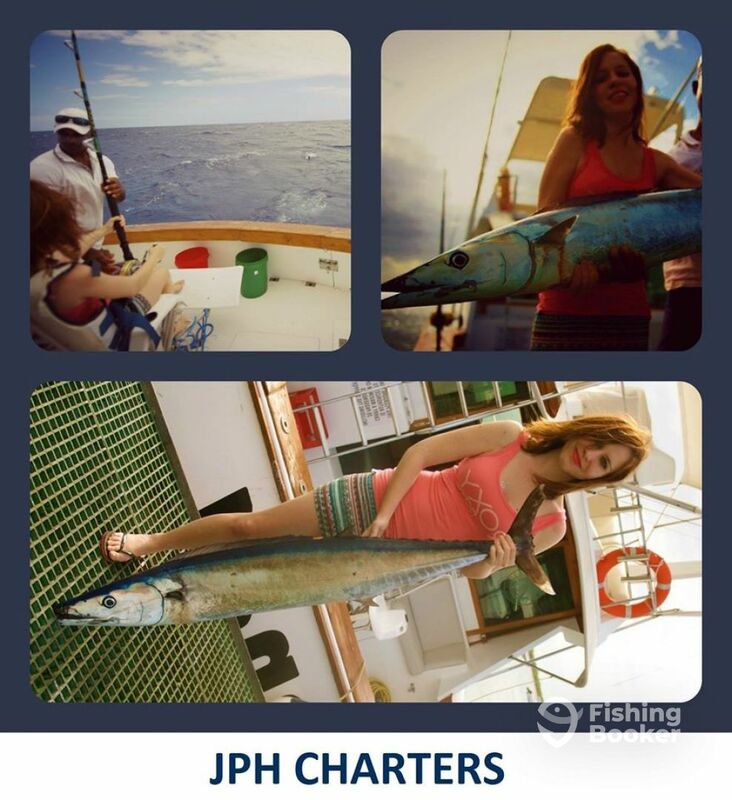 Thank you JPH Charters for this great day.